FONDA, NY, May 26, 2008 -- The annual Secular Franciscan Pilgrimage at Bl. Kateri Tekakwitha National Shrine in Fonda on Sunday, Aug. 17, will feature a dramatic presentation by Act 4 Him, a husband-and-wife traveling ministry. The drama, titled “John, the Beloved Disciple,” will immediately follow 10:30 a.m. Mass. Secular Franciscans are encouraged to bring a picnic lunch and enjoy fellowship following the presentation, and then explore the shrine facilities and grounds in the afternoon. 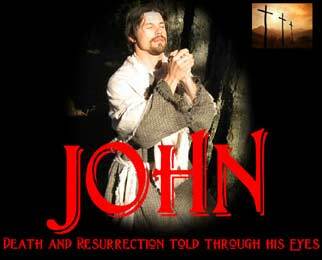 The presentation will relate the death and resurrection of Jesus as told through John’s eyes. “Our mission is simple: help people develop a deeper understanding of the Bible and most importantly guide them to a closer relationship and a decision for Christ,” note Matthew and Tina Zawisza on their website, act4himdramaministry.com. Act 4 Him is based in Schenectady, NY.